Home » News » Microbial Ecology » Research on Lichen Meta-Community published in PNAS. Research on Lichen Meta-Community published in PNAS. The number of Fungi is estimated at between 1.5 and 3 million. Lichenized species are thought to make up a comparatively small portion of this figure, with unrecognized species richness hidden among little studied, tropical microlichens. Recent findings, however, suggest that some macrolichens contain a large number of unrecog- nized taxa, increasing known species richness by an order of magnitude or more. Here we report the existence of at least 126 species in what until recently was believed to be a single taxon: the basidiolichen fungus Dictyonema glabratum, also known as Cora pavonia. Notably, these species are not cryptic but morphologically distinct. A predictive model suggests an even larger number, with more than 400 species. 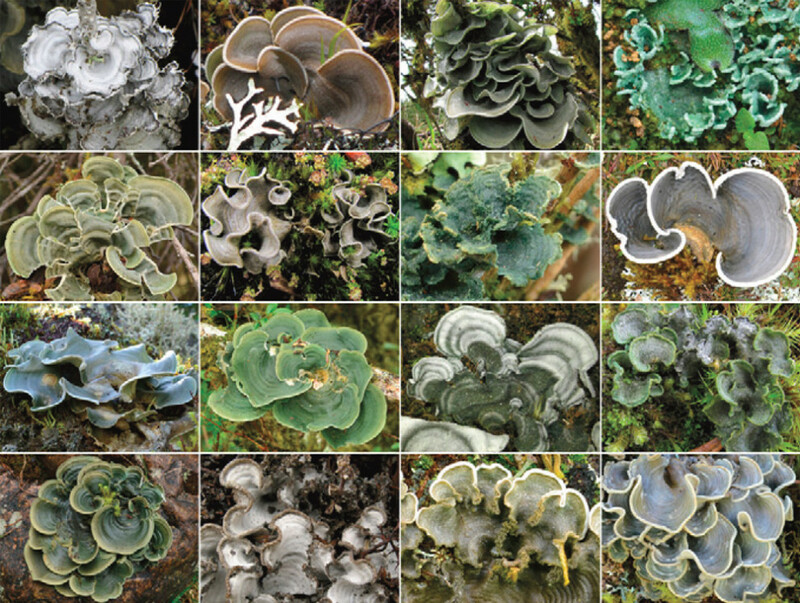 These results call into question species concepts in presumably well known macrolichens and demonstrate the need for accurately documenting such species richness, given the importance of these lichens in endangered ecosystems such as paramos and the alarming potential for species losses throughout the tropics.